We have released our WooCommerce Add-on which tracks all the eCommerce activity in your WooCommerce site and gives you insights of all the user interactions with products. 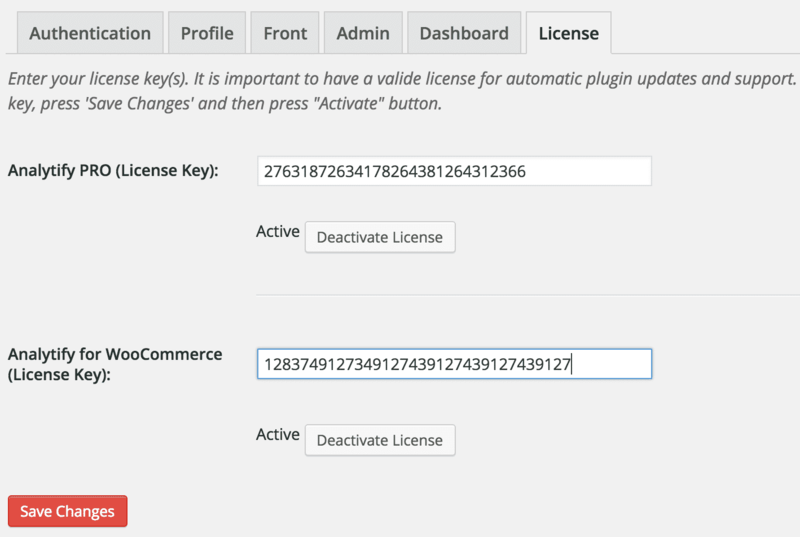 Screenshot below shows how you can activate the license keys for PRO and Add-ons. 3. 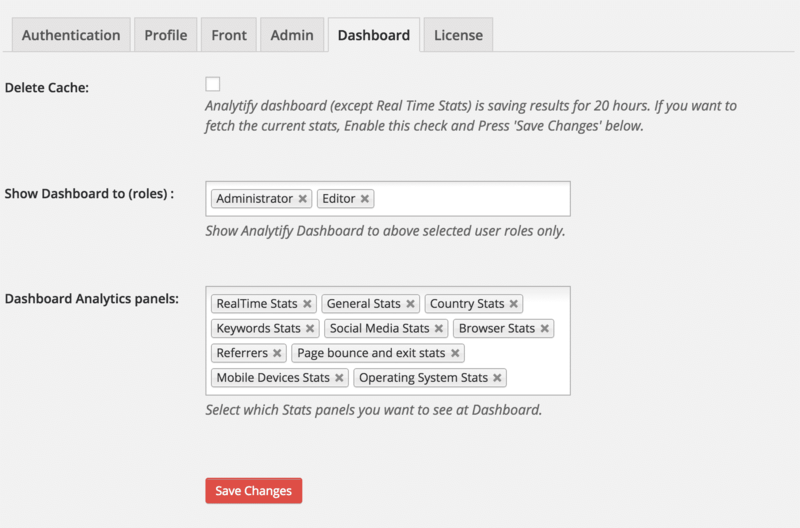 [New Feature] Dashboard Tab in settings page for managing sections at Analytify dashboard. In this dashboard tab, you can set permissions to access the dashboard. You can also select your interested Analytics panels to display at dashboard. 5. [Bug Fix] Change the default value of “Select fields” in Profile tab. 6. [New Feature] Super Admin can access all the stats (multisite). In multisite install, Super Admin can access all the stats now.